Maternal and Child Health (MCH) and Children and Youth with Special Health Care Needs (CYSHCN) programs contain similar core public health functions for children and families including resource development, capacity and systems building, and population-based functions such as public information and education, knowledge development, technical assistance to communities as well as provider training. This page contains targeted learning opportunities and resources for professionals who work with CYSHCN and their families. CYSHNC Bundle Overview. An introductory video describing the CYSHN Program within HRSA’s Maternal and Child Health Bureau (MCHB). Bonnie Strickland, Director of HRSA/MCHB’s Division of Services for CYSHN, provides a brief overview of the program’s history, describes the program’s vision for the future, defines the unique CYSHN population and outlines the core components and outcomes* that comprise a strong system of services for CYSHN. Date Developed: 01/31/2014. Source: JSI Health. Presenter(s): Bonnie Strickland. Type: Video. Level: Introductory. Length: 6:30 minutes. The CYSHN Population. Bonnie Strickland, Director of HRSA/MCHB’s Division of Services for Children and Youth with Special Health Needs (CYSHN), provides a brief history of the CYSHN population definition which has evolved to be broad and inclusive of "those who have or are at increased risk for a chronic physical, development, behavioral, or emotional condition and who also require health and related services of a type or amount beyond that required by children generally”. Also featured, Lynda Honberg, former Program Director in HRSA/MCHB/DSCSHN, adds her personal insights about characteristics held in common by children with a wide range of diagnoses. Date Developed: 01/31/2014 . Source: JSI Health. Presenter(s): Bonnie Strickland. Type: Video. Level: Introductory. Length: 2:30 minutes. DSCSHN Program Accomplishments. Lynda Honberg, former Program Director in HRSA/MCHB/DSCSHN, and Bonnie Strickland, Director of HRSA/MCHB’s Division of Services for CYSHN, discuss program accomplishments including: the origin and evolution of the concept and term “medical home,” identifying the elements of a full-functioning system of services for CYSHN through the programs 6 core outcomes, the development of the Title V index, and the Title V Quality Improvement Toolbox. Date Developed: 01/31/2014 . Source: JSI Health. Presenter(s): Lynda Honeberg. Type: Video. Level: Introductory. Length: 5:45 minutes. CYSHN Program Leadership. Lynda Honberg, former Program Director in HRSA/MCHB/DSCSHN, shares advice for new directors of Children and Youth with Special Health Care Needs programs. Suggestions include adapting to ever-evolving workplans, creating and maintaining partnerships with other agencies, and involving families at all levels of work. Date Developed: 01/31/2014 . Source: JSI Health. Presenter(s): Lynda Honberg. Type: Video. Level: Introductory. Length: 2:30 minutes. Transition to Adult Health Care for Youth with Special Health Care Needs. Date Developed: n.a. Source: Wisconsin Children and Youth with Special Health Care Needs Program and Waisman Center University Center for Excellence in Developmental Disabilities. Presenter(s): Ben Schlich, Deborah Hoffman PhD. Type: Webcast. Level: Introductory.Length: 12 minutes. Special Instructions: Requires Microsoft Silverlight Plugin. Early and Continuous Screening and Referral: Children are screened early and continuously for special health care needs. Genetics Screening and CYSHN. Sara Copeland MD, Medical Officer of Genetics Services, articulates HRSA/MCHB’s goal that all people who could benefit from genetics testing are able to obtain the screening that they need. The idea of early and continuous screening for CYSHN serves as an example for other populations. Date Developed: 01/31/2014 . Source: JSI Health. Presenter(s): Sara Copeland. Type: Video. Level: Introductory. Length: 3 minutes. Birth to 5: Watch Me Thrive. Birth to 5: Watch Me Thrive! is a coordinated interagency effort to encourage developmental and behavioral screening and support for children, families, and the providers who care for them. Date Developed: 05/27/14. Source: Association of University Centers on Disabilities. Type: Webinar archive. Level: Intermediate. Length: 60 minutes. Screen for Three . Date Developed: 10/7/2010 . Source: American Academy of Pediatrics, Michigan Chapter. Presenter(s): Tiffany Kostelec. Type: Video. Level: Introductory. Length: 5 minutes. Arkansas Newborn Screening Long-Term Follow-Up Database. Date Developed: 12/4/2013. Source: Heartland Collaborative. Presenter(s): Christopher J. Swearingen, PhD. Type: Video. Level: Introductory. Length: 50 minutes. Health Insurance for CYSHCN from Immigrant Families. Date Developed: 06/06/13. Source: Catalyst Center. Presenter(s): Myra Rosen-Reynoso, National Center for Ease of Use of Community-Based Services. Type: Webinar archive, slides, and audio transcript. Level: Intermediate. Length: 67 minutes. Special Instructions: audio for this webinar starts at 40 seconds. Spotlight on Access to Care. Date Developed: 05/2014. Source: MCH Navigator. Presenter(s): Beth DeFrancis-Sun, John Richards. Type: Training Series. Level: Intermediate. Length: Series, various lengths. Medical Home: CYSHCN will receive family-centered, coordinated, ongoing comprehensive care within a medical home. This includes pediatric preventive and primary care; care coordination; and pediatric specialty care as part of the medical home and integrated with community-based services. Fostering Partnership and Teamwork in the Pediatric Medical Home: A “How To” Video Series. Date Developed: January 2014. Source: National Center for Medical Home Implementation. Type: Video. Level: Introductory. Length: 30 minutes. Practical Approaches to Enhance Communication in the PCMH [Patient Centered Medical Home]. Date Developed: 06/08/11. Sources: Patient-Centered Primary Care Collaborative. Presenter(s): Jennifer Lail. Type: Webinar archive. Level: Intermediate. Length: 60 minutes. Easy to Use Services and Supports: Services for CYSHCN and their families will be organized in ways that families can use them easily and include access to patient and family-centered care coordination. Identifying Resources for Children/Youth with Special Health Care Needs and Their Families. Date Developed: n.a..Source: Wisconsin Children and Youth with Special Health Care Needs Program and Waisman Center University Center for Excellence in Developmental Disabilities. Presenter(s): Kristin Aasen-Gowen MSSW. Type: Webcast. Level: Introductory.Length: 27 minutes. Handouts. Special Instructions: Requires Microsoft Silverlight Plugin. Partnering to Make Services Easier to Use for Latino Families with CYSHCN: An Example from Pennsylvania. Date Developed: 03/21/12. Source: National Center for Ease of Use of Community-Based Services. Presenter(s): Diego Chaves-Gnecco, Renee Turchi, Emilio Pacheco, Myra Rosen Reynoso (moderator). Type: Webinar archive with PowerPoint slides, and captioned text. Level: Intermediate. Length: 60 minutes. Partnering to Make Services Easier to Use for Latino Families with CYSHCN: Examples from Utah. Date Developed: 06/29/12. Source: National Center for Ease of Use of Community-Based Services. Presenter(s): Chuck Norlin, Vanessa Berrio, Lourdes Avila, Julie Moreno, Wendy Hobson-Rohrer (moderator). Type: Webinar archive with PowerPoint slides, and captioned text. Level: Intermediate. Length: 60 minutes. Partnering to Make Oral Health Services Easier to Use for Families with CYSHCN. Date Developed: 06/29/12. Source: National Center for Ease of Use of Community-Based Services. Presenter(s): Chuck Norlin, Vanessa Berrio, Lourdes Avila, Julie Moreno, Wendy Hobson-Rohrer (moderator). Type: Webinar archive with PowerPoint slides, and captioned text. Level: Intermediate. Length: 60 minutes. Family-Professional Partnership: Families of CYSHCN will partner in decision making at all levels and will be satisfied with the services they receive. Promoting Family Engagement and Involvement. Diana Denboba, Branch Chief of the Integrated Services Branch in the DSCSHN, introduces family-professional partnerships and the importance of this alliance in helping states and organizations to implement quality family-centered care that is culturally and linguistically competent. Also in this brief video, LaQuanta Smalley, Public Health Analyst, describes Family-to-Family Health Information Centers and their importance in helping families to be informed shared decision-makers. Date Developed: 01/31/2014 . Source: JSI Health. Presenter(s): Diana Denboba, LaQuanta Smalley. Type: Video. Level: Introductory. Length: 8:15 minutes. Understanding CYSHN Families. Lynda Honberg, former Program Director in HRSA/MCHB/DSCSHN, wears her “parent hat” to discuss the challenges that parents face related to system navigation and the six performance measures of CYSHN programs: access to a medical home, family-professional partnership, screening, easy to use community services, affordable health insurance and financing, and transition services. Date Developed: 01/31/2014 . Source: JSI Health. Presenter(s): Lynda Honberg. Type: Video. Level: Introductory. Length: 7 minutes. Increasing Meaningful Partnerships between Families and MCH Partnerships [Cultivating Family/Professional Partnerships]. Date Developed: Unknown. Source: MCH Public Health Leadership Institute. Presenter(s): Eileen Forlenza. Type: Narrated Slide Presentation. Level: Introductory. Length: 30 minutes. The Role of Parent-Professional Partnerships and Ease of Use of Services for Latino CSHCN in Minnesota. Date Developed: 03/21/12. Source: National Center for Ease of Use of Community-Based Services. Presenter(s): Barb Dalbec, Wendy Eringer, Jesus Villasenor, Myra Rosen-Reynoso, Sharman Davis Barrett. Type: Webinar archive with PowerPoint slides. Level: Intermediate. Length: 60 minutes. A Family's Challenge: Coordinating Care for a Child with Special Health Care Needs. Date Developed: 5/20/2013. 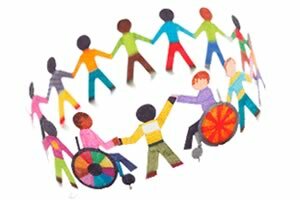 Source: Program for Children with Special Health Care Needs. Type: Video. Level: Introductory. Length: 3 minutes. Transition to Adulthood: Youth with special health care needs receive the services necessary to make transitions to all aspects of adult life, including adult health care, work, and independence. Apps to Promote Student Independence in the Classroom and Community. Date Developed: 1/27/2015. Source: Indiana Secondary Transition Resource Center. Indiana University, Bloomington. Authentic Assessment: A Blueprint for Quality Transition. Date Developed: 10/29/2014. Source: Indiana Secondary Transition Resource Center. Indiana University, Bloomington. Determination: A Toolkit for Teachers. Date Developed: 3/1/2012. Source: Indiana Secondary Transition Resource Center. Indiana University, Bloomington. Health Care Transition for Adolescents and Young Adults: An Online Video CME Course. Date Developed: 2013. Source: Health Services for Children with Special Needs. Presenter(s): April Barbour, MD, Billie Downing, MD, Kirsten Hawkins, MD, MPH, Peggy McManus, MHS, Nathalie Quion, MD, Lisa Tuchman, MD, Patience White, MD, MA. Level: Intermediate. Length: 60 minutes. Transition Assessment for Students with Severe and Multiple Disabilities. Date Developed: 1/11/2011. Source: Indiana Secondary Transition Resource Center. Indiana University, Bloomington. Length: 90 minutes. Making Healthcare IT Meaningful for MCH. Date Developed: 09/21/11. Source: Association of Maternal and Child Health Programs. Presenter(s): Bob Bowman, John Eichwald, Terese Finitzo. Type: Audio with PowerPoint slides. Level: Intermediate. Length: 60 minutes. Special Instructions: audio begins at 45 seconds, with content beginning around 1:40 minutes. HRSA's Health IT Webinars. Date Developed: varies. Source: U.S. Health Resources and Services Administration. Type: YouTube videos. Level: Varies. Length: Varies. Over 30 videos on all aspects of Health IT. HCP Care Coordination and CYSHCN Data System Training. Date Developed: 8/7/2013. Source: Colorado Department of Public Health and Environment. Presenter(s): Annie Whitehouse, Ashley Juhl, Dale Knochenmus. Type: YouTube video. Level: Intermediate. Length: 160 minutes. Spotlight on Quality Improvement. Date Developed: 2012. Source: MCH Navigator. Level: Varies. Length: Varies. Insurance and Financing: Families of CYSHCN have adequate private and/or public insurance and financing to pay for the services they need. Financing Care for CYSHN. Lynda Honberg, former Program Director in HRSA/MCHB/DSCSHN, raises questions related to how the Affordable Care Act may change financing care for CYSHCN. Date Developed: 01/31/2014 . Source: JSI Health. Presenter(s): Lynda Honberg. Type: Video. Level: Introductory. Length: 7 minutes. Legislative Briefing: Children with Special Health Care Needs in California. Date Developed: 4/18/2013. Source: Lucile Packard Foundation for Children's Health. Presenter(s): David Alexander, MD, Christina Bethell, PhD, Paul Wise, MD, Margaret Comeau, MHA, Margaret McManus, MH, Juno Duenas, Richard Pan MD. Type: Video Webinar. Length: 108 minutes. Medicaid 101. Date Developed: 1/1/2012. Source: Henry J. Kaiser Family Foundation . Presenter(s): Robin Rudowitz.Type: Video Webinar. Level: Intermediate. Length: 15 minutes. List of all archived webinars as of 09/13, when website was closed. Bullying and Ostracism in Children and Youth with Special Health Care Needs (CYSHCN). Date Developed: 02/20/13. Source: The Southeast Regional Consortium and AUCD, with the Interdisciplinary Technical Assistance Center on Autism and Developmental Disabilities. Presenter(s): Conway Saylor. Type: Webinar archive. Level: Intermediate. Length: 60 minutes. Cultural Diversity, Health Disparities and Public Health. Date Developed: 12/28/2007. Source: Alabama Public Health Training Network . Presenter(s): Lisa C. Gary, PhD, MPH. Type: Video Webinar. Level: Introductory. Length: 90 minutes . Diversity and Cultural Competency in Public Health Settings- Basic Level. Date Developed: Unknown. Source: South Central Public Health Partnership. Presenter(s): Wm. Marty Martin, PsyD, MPH, MA, SPHR. Type: Video Webinar. Level:Introductory. Length: 20 minutes. Maternal and Child Health Course Bundle: Leadership. Date Developed: 2012. Source: University of Alabama at Birmingham Maternal and Child Health Leadership and Policy Education Program and the South Central Public Health Training Center. Presenter(s): n. a. Type: Online Course. Level: Introductory. Length: Self-paced. For additional learning opportunities in topics not listed here, see the Search page to search by competency or keyword. Children and Youth with Special Health Care Needs Knowledge Path | Family Resource Brief | School Resource Brief. These resources direct readers to a selection of current, high-quality resources that analyze data, describe effective programs, and report on policy and research aimed at developing systems of care that are family-centered, community-based, coordinated, and culturally competent. * Note: The National Survey of Children with Special Health Care Needs (NS-CSHCN) Chartbook 2009-2010, released by The U.S. Department of Health and Human Services, Health Resources and Services Administration in June 2013, identified 6 core outcomes. The National Consensus Framework for Systems of Care for Children and Youth with Special Health Care Needs Project, organized by AMCHP with support from the Lucile Packard Foundation for Children’s Health, added "cultural competence" as the seventh outcome and introduces 10 core domains for system standards related to CYSHCN. Several learning opportunities in this Spotlight describe the original 6 core outcomes; however, the MCH Navigator chose to use the 10 core domains as its conceptual model to show the growing understanding of the complexity of system standards in the field. 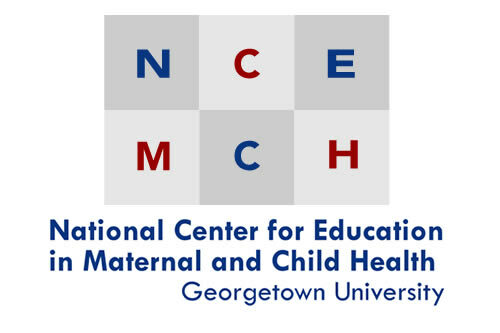 Reviewers: Jolene Bertness, MEd, NCEMCH; Sidnee Dallas, M.Div., M.P.H., Virginia State Children with Special Health Care Needs Program, Child & Family Health, Office of Family Services, Virginia Department of Health;Toby Long, Ph.D., University Center for Excellence in Developmental Disabilities (UCEDD) at Georgetown University; Hilary Segar, Susan Friedrich, and Naomi Clemmons, John Snow, Inc., JSI Research and Training Institute, Inc.; Kathleen Watters, M.A., CCC-A and Leticia Manning, M.P.H., Division of Services for Children with Special Health Care Needs, U.S. Maternal and Child Health Bureau. This project is supported by the Health Resources and Services Administration (HRSA) of the U.S. Department of Health and Human Services (HHS) under grant number UE8MC25742; MCH Navigator for $180,000/year. This information or content and conclusions are those of the author and should not be construed as the official position or policy of, nor should any endorsements be inferred by HRSA, HHS or the U.S. Government.